Gayla is a sought after private acting coach and acting teacher to working young Hollywood actors. She started teaching while still in college earning her B.A. in Theater Arts from Western Illinois University, where she also holds a minor in Vocal Performance. While acting in New York she started private coaching and taught adult classes. 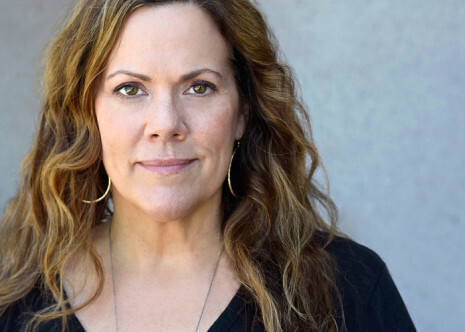 Upon moving to Los Angeles, Gayla was Lead Teacher at CenterStage, LA where she conducted classes in Advanced Scene Study, Script Analysis, Audition Preparation, Cold Reading, Improvisation, and Relaxation & Concentration Skills. While there she developed and taught beginning and advanced classes in Auditioning for Pilot Season and Commercial Techniques. Also on-staff at both Stellar Adler Acting Conservatory and Theater of The Arts; Hollywood, Gayla established and taught their first Commercial Acting programs. Goehl joined The Playground in 2005 and now serves as Director of the Young Actors Master Classes, Varsity and Junior Varsity, acting Programs, Director of the Conservatory as well as Head Acting Teach of the 2nd Year Professional Classes. Goehl was an on-set coach for the film Judy Moody and the Not Bummer Summer. Gayla started acting professionally at fourteen and is a proud member of SAG-AFTRA and AEA (Equity Stage). She starred in the critically acclaimed, festival winning feature film @URFrenz, where she was also nominated for a Method Fest Acting award. Her acting credits including a multitude of feature films, television, national commercials, voice-over campaigns, and industrial films as well as television hosting as the first on-air face and host of The TV Guide Channel. Goehl has performed in over one hundred and forty theatrical productions including creating lead roles in Off-Broadway World Premiere productions, Chicago World Premiere productions, Los Angeles World Premiere productions as well as in Regional Theater. Goehl also was jingle singer for CBS’s “The Early Show”. Gayla’s huge range and depth of working professionally as an actor, private audition coach, master acting teacher and on-set film coach has influenced her ability to understand critical elements needed when approaching teaching on-camera acting techniques to young actors. Her private coaching and teaching clients include: Ashley Argota, Jorge Diaz, Greer Grammer, Joel Courtney, Armani Jackson, Dove Cameron, Lilla Crawford, Stephanie Scott, India Eisely, Kay Panabaker, Charlie Shotwell, Ryan Newman and many more. FILMS: Man Down, Captain Fantastic, Replicate, Into The Woods, The Last Witch Hunter, Speech and Debate, Little Boxes, Dear Eleanor, Everstar, Cooties, 33, Inbetween, Jem and the Holograms, Camp Cool Kids, Tom Sawyer & Huck Finn, Mercy, How To Building A Better Boy, Paranormal Activity: The Marked Ones, Caught, I.T., Kite, Sins of Our Youth, The Between, Wild, Insidious: Chapter 3, Life at These Speeds, Descendents, Cooties, Cloud 9, Freneimes, Underworld: Awakenings, Into The Woods, Paranormal Activity 3, Wild, 33, Reach Me, Mimsy, Flipped, Wreck It Ralph, Spring Breakers, Red Zone, Broken Horses, Camp, Red Zone, Almost Kings, Mostly Ghostly, Wreck-It Ralph, Fame, No Strings Attached, Frenemies, The Final Destination, Filly Brown, Zoom, Cyberbully, Monster House, Lower Learning, Read It and Weep, Death Trip 3D, Drillbit Taylor, High School Musical, High School Musical 2, The Gold Retrievers, Legally Blondes, Side Effects, All You Need, Bloomington, 21 Grams. TELEVISION: Empire, Jane The Virgin, The Fosters, Grey’s Anatomy, Modern Family, Lucifer, Grimm, The New Girl, The Blacklist, American Crime, Law and Order: SVU, Chasing Life, Jessie, Melissa & Joey, Real Husbands of Hollywood, Gortimer Gibbons: Life on the Streets, Crash 2.0, 100 Things To Do Before High School, Just Add Magic, Liv & Maddie, The Messengers, Days of Our Lives, True Blood, See Dad Run, A.N.T. Farm, Modern Family, Lab Rats, The Middle, The Mentalist, The Neighbors, The New Normal, Good Luck Charlie, Austin & Ally, The Thundermans, Perception, CSI, New Girl, Law and Order: SVU, Baby Daddy, Girl Meets World, Trophy Wife, Sam & Cat, Ben & Kate, Shake It Up!, CSI, CSI: Miami, Shameless, East Los High, The Secret Life of The American Teenager, No Ordinary Family, Lost, The Division, Lie To Me, Chuck, Malibu Country, Kickin’ It, Raising Hope, Skinner and Bucket’s Epic Adventure, True Jackson V.P ., No Ordinary Family, Guess How Much I Love You, Zeke & Luther, Brothers and Sisters, True Jackson VP, Cold Case, Lost, Monk, ER, House M.D., Chuck, Sons of Tuscon, The Young and the Restless, Medium, One Tree Hill, Lincoln Heights, Monk, Hannah Montana, Malcolm in the Middle, According to Jim, Boston Public, iCarly, Suite Life On Deck, Everybody Hates Chris, The Fresh Beat Band, The Suite Life of Zack and Cody, Ned’s Declassified, Zoey 101, Boston Public and Mad TV. As well as hundreds of National Commercials.